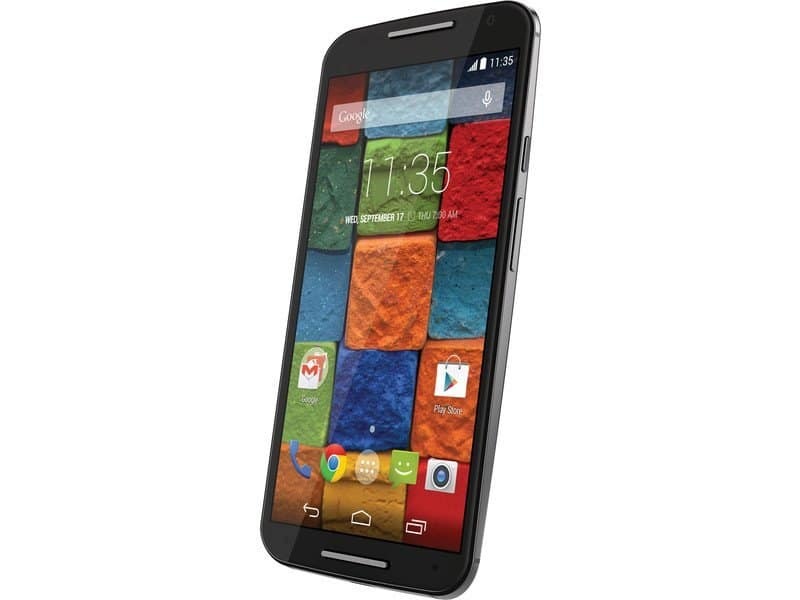 Motorola launched their upgraded versions of Moto G (2nd Gen) and Moto X (2nd Gen) at IFA this September. The phone was made available in US the same day of release which resulted in a very good sale as expected. 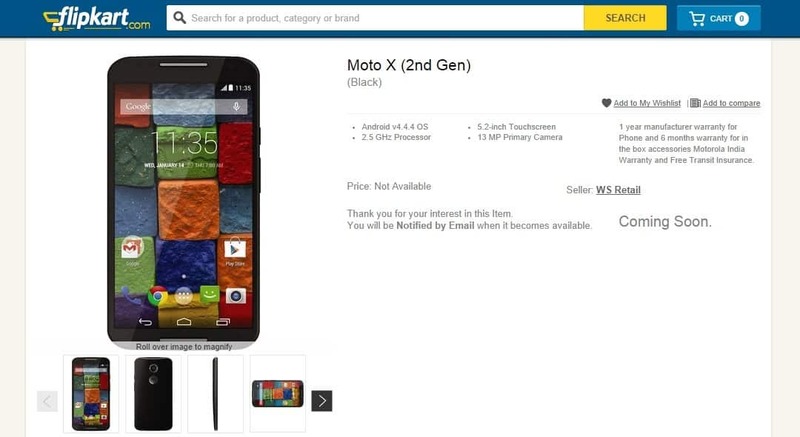 It seems like Indian users who wish to buy dont have to wait a lot for the 2nd generation Moto X as FlipKart has listed the new smartphone on their site. The pricing hasn’t been given out yet but we can expect it to be in a price range of Rs.20000 to Rs.25000. Moto 360 smartwatch can also be anticipated soon too in India though no news is available for the same at this moment. 5.2-inch screen with 1080p Full-HD resolution. 2.5GHz Snapdragon 801 processor with Adeno 330 GPU. 2GB RAM with 16GB internal memory(12GB usable) with no SD card support. 13MP primary camera along with 2MP front camera. The smartphone looks good on paper and seems a good upgrade from the previous version. Though the battery power is a factor its being criticized on! Will Moto 360 make an appearance too? We will keep you updated about the availability. Stay tuned!